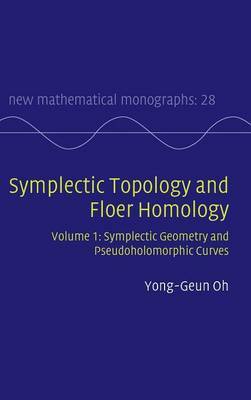 Published in two volumes, this is the first book to provide a thorough and systematic explanation of symplectic topology, and the analytical details and techniques used in applying the machinery arising from Floer theory as a whole. Volume 1 covers the basic materials of Hamiltonian dynamics and symplectic geometry and the analytic foundations of Gromov's pseudoholomorphic curve theory. One novel aspect of this treatment is the uniform treatment of both closed and open cases and a complete proof of the boundary regularity theorem of weak solutions of pseudo-holomorphic curves with totally real boundary conditions. Volume 2 provides a comprehensive introduction to both Hamiltonian Floer theory and Lagrangian Floer theory. Symplectic Topology and Floer Homology is a comprehensive resource suitable for experts and newcomers alike.